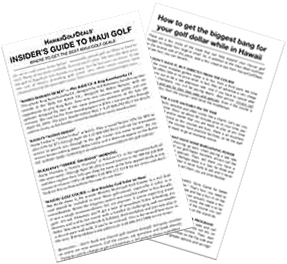 HawaiiGolfDeals’ Insider’s Guide to Kauai Golf is the most recent addition to our never-ending quest to provide real golf value in the Aloha state. 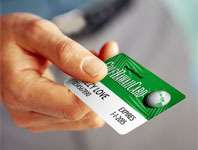 It will save you money and time on any Kauai golf vacation and provide valuable information about Kauai golf courses. Best of all, this two-part newsletter discloses the absolute best hidden deals every golfer can and should take advantage of now and in the near future. When pondering a visit to the “Garden Island,” golfers have to be aware of a general lack of real value and the loss of two resort courses during this decade. But we can help in a number of positive and fruitful ways. Since Princeville’s Prince Golf Club shuttered in late 2014 and Kauai Lagoons Resort (now called “Hokuala”) very quietly reduced from 36 to 18 holes over the past decade, Kauai has only three resort courses with AM off-property rates ranging from $215-$299 + tax. Noon to 2:00PM rates are in the $189-$212 range. Play any later than about 2:00PM ($179+) and you’re unlikely to finish due to no daylight savings in Hawaii. The collateral and websites that flow out of Kauai and Hawaii do not tell the story of the reduction of available Kauai golf holes, so be sure to do your research before considering where you want to play golf, as it may affect your overall decision on which island to visit. Early in 2019, and without any real warning, Kauai’s three remaining resort courses decided to raise rates from their already lofty levels. However, if you’re compelled to play all three of Kauai’s remaining resort courses and two other gems, we can show you how you can play five rounds on five courses for less than $659, including tax, on virtually any day and in the morning. Is it a great deal—NO! Is it the absolute best deal out there—YES! And we challenge you to find this from any other source! Don’t worry, the $659 deal (including tax) includes The Ocean Course at Hokuala (formerly Kauai Lagoons Kiele Course), Princeville Makai Golf Club and Poipu Bay Golf Club, in addition to two other gems. You will not find this information anywhere else! Our Insider’s Guide to Kauai Golf is FREE when you book any element(s) of a HawaiiGolfDeals’ Kauai Vacation Package (Air, lodging & Alamo vehicle • Lodging & Alamo vehicle • Alamo vehicle). All, at the absolute best price on the planet, of course. That’s right, you can play five rounds of Kauai golf on five Kauai courses, including the three resort layouts, for an average of about $132 per-round! Perhaps you are visiting Kauai for 10-14 days and would like to play golf seven times on a real golf vacation—we’ll show you how you can play seven days on five courses for about $776 (including tax). That’s about $111 per-day. Or, you can just play the three resort courses or only the two other gems. Lots of flexibility whether you want to play just twice or 10 times or more. No kidding, there’s nothing out there that competes with our Insider’s Guide to Kauai Golf. We even tell you how to get the best hidden deals all the time with no middlemen and no service fees. There is nowhere else you can find this valuable and money-saving information. And it’s absolutely free to HawaiiGolfDeals’ Kauai guests. Kauai’s resort hotels are extremely expensive. You may be better served by staying in condo/villa accommodations, all of which will deliver greater value, lots more space and generally do not have resort and parking fees. Additionally, the Kauai condo/villa properties, as a group, seem to have some of the best views and some oceanfront locations that are not generally found at condo/villa complexes on the other islands. You can be sure, we know exactly where to recommend and will get you the absolute best deal. in the Aloha State—all you have to do is ask! Book the best Kauai Vacation by contacting us for air, vehicle rental, lodging (hotels, resorts and condo/villas), and general Kauai information. 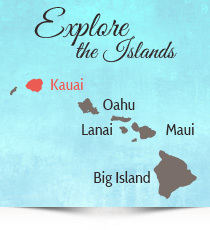 Book your Kauai Vacations with us and save. Our knowledge of Kauai accommodations, tourist attractions and great visitor experiences ensures your satisfaction. You can also select and enjoy the best of Hawaii Golf and Hawaii attractions including Oahu tours, Big Island Hiking, Kauai Sport Fishing, Honolulu Food Tours and Sunset Cruises among other enjoyable activities. Your Vacation in Kauai will be an experience you and your family will never forget. If you’re a golfer, you’ll be playing as much golf as you can on the other Hawaiian Islands. It doesn’t get any better than Golf Vacations in Kauai, Maui, Oahu and The Big Island.